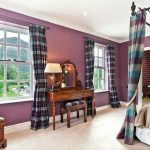 The Bridge Inn is full of character and is adjoined to the rear of the hotel looking across towards Red Pike, High Stile and High Crag with Red Pike to the east and Mellbreak to the west, and situated in between Buttermere and Crummock Water. 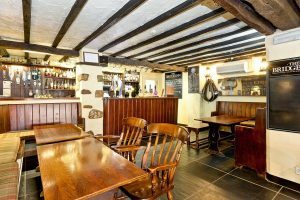 The Bridge Inn offers a selection of traditional English bar meals, including local Cumbrian dishes and many other pub favourites. A specials board, changed daily, is also available together with a variety of vegetarian options, a great children’s menu and a dessert menu. 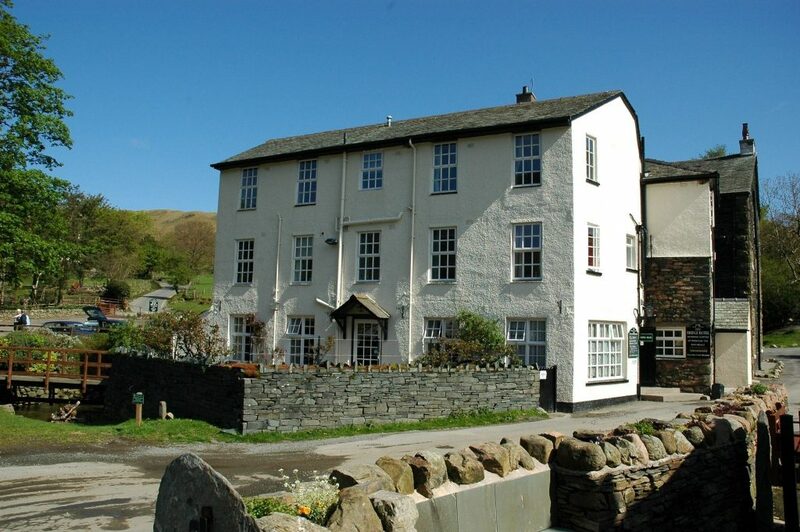 We pride ourselves in our food and it is sourced as local as possible from the Lake District, even from Buttermere itself. 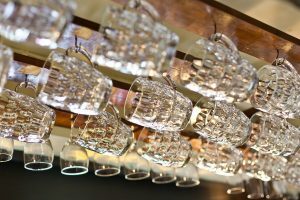 The Walkers Bar is our dog friendly bar and serves meals all day alongside a varied selection of Local ales and lagers. 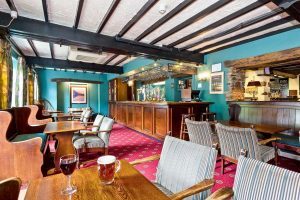 Although our bar does cater to many walkers, the name “Walkers Bar” is in fact a reference to the Reverend Robert Walker who obtained a beer licence under his brothers name around 1734 and founded the Bridge Inn which dispensed hospitality and local Cumbrian ale. 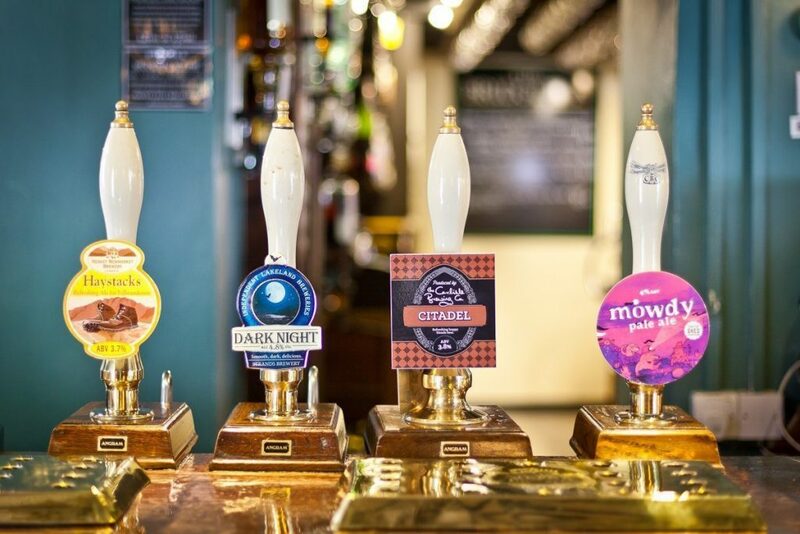 We like to keep up the tradition and to this day we still have four local Cumbrian cask beers available all year round and we change our selection weekly. 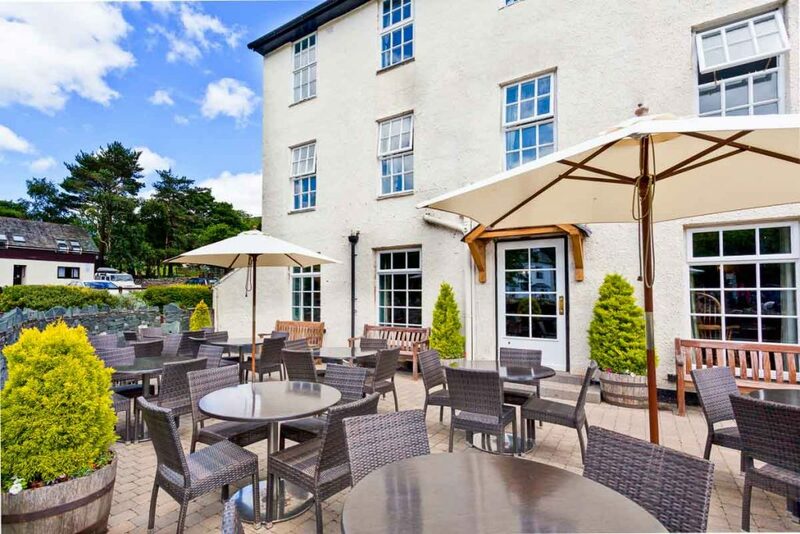 The lounge bar is kept dog free for our guests with allergies. It serves the same menu as our Walkers bar from 9.30 until 21.30. As well as our Cumbrian ales we have 17 house wines available by the glass and our hotel wine list has over 70 fantastic wines to choose from. We have over 20 malt whiskies available and a small selection of gins with 2 of the Lakeland Gins which are distilled less than 20 minutes from our door. 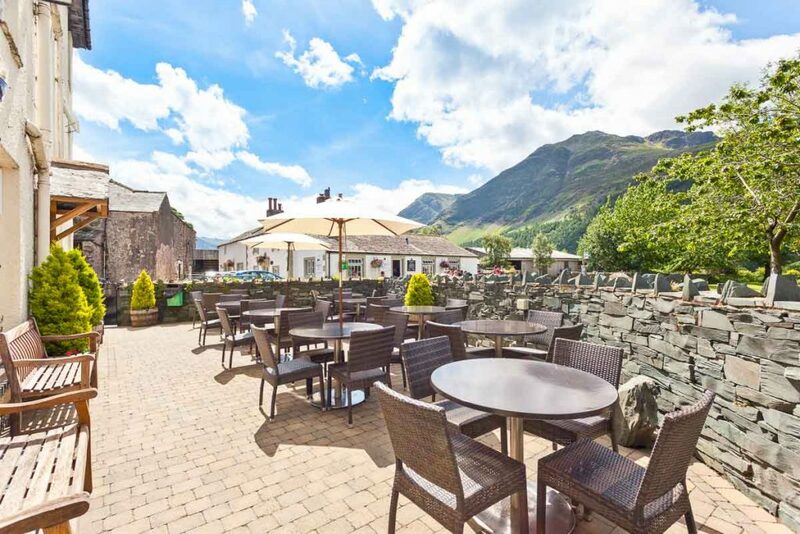 For those days when you can sit in the Cumbrian sunshine and enjoy the views. Guests with dogs are welcome in both the Walkers Bar and on the Patio. We offer free Wi-Fi in both the Lounge and Walkers Bar. Food is available in the Bridge Inn all day every day from 9.30am until 9.30pm. Please note, as this is a public bar we DO NOT take table reservations.